Web Based Online Fixed Asset Management System your assistant in your success. Web Based Online Fixed Asset Management System is highly useful and can enhance substantial impact on an institution’s overall profitability. Through minimizing the disposed assets from depreciation schedule, insurance and taxation are manageable to decline. 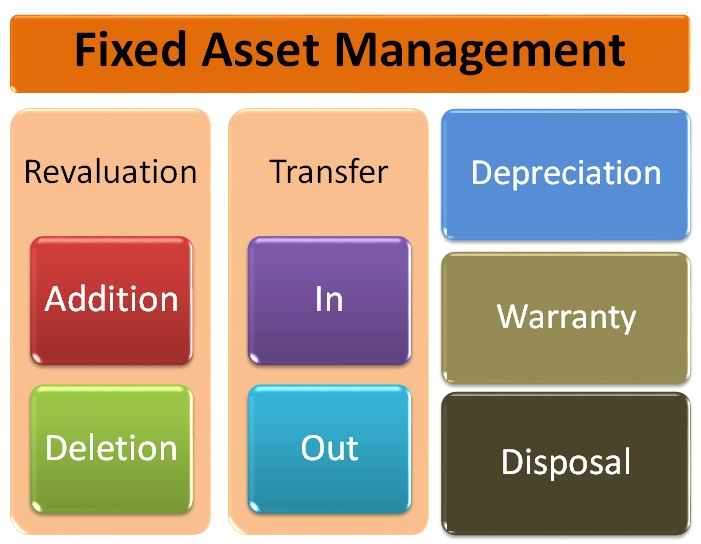 Definitely, we can help you in managing your physical property with online fixed asset management system web based. You can trust this web based solution, if you are searching for an effective web based online assets management system. Web Based Online Fixed Asset Management System is an amazing help for you and your company. By getting help from online fixed asset management system web based, your organization moves towards flexibility, error free environment, automated solutions, real-time assessment and cutting-edge technology. Web Based Online Fixed Asset Management System is equipped with solutions that can help in several fixed assets depreciation methods such as WDV (Written Down Value) and Straight-Line. Moreover, it permits the user for specific assets specification. Web Based Online Fixed Asset Management System enables you to keep and store your records with values, location, classification, grouping, Alpha-numeric ID etc. Definitely, for all relevant situations, Web Based Online Fixed Asset Management System is devised. Grouping, Mapping to the General Ledger, Values, Movements of assets and depreciation are controlled through user defined parameters. Web Based Online Fixed Asset Management System facilitates through MIS Reports covering easy listing the single-point management of total Fixed Assets balance sheet of a company. Web Based Online Fixed Asset Management System works effortlessly with all types of known database platforms; thus, data handling becomes far easier. Web Based Online Fixed Asset Management System is designed to monitor entire Life Cycle of fixed assets; hence, from controlling accounting issues to handling physical aspects of disposal are easy. Web Based Online Fixed Asset Management System permits users manual and through the system revaluation and modification and facilitates them automatic rolling of new asset values next period forwarding. Online fixed asset management system web based, for all Fixed Asset related transactions, facilitates with real-time query function. Definitely, a company can have tailored requirements or it can require a cost-effective shelf system. Cloud Enabled Online Best Fixed Asset Management System is ready to help you. Now you do not need to go anywhere to manage your assets. Our all software management tools are easy, customized and developed with cutting-edge technology. Moreover, Web Based Online Fixed Asset Management System also provides backup supports. You just need to contact from anywhere and anytime. Helps you to perform better than other in the market to get more profit.